The first time I ever had Navajo Fry Bread was in October 2008 at the Moab Farmers' Market. Deep fried with cinnamon and sugar over it; it was awesomely delicious. It reminded me very much of the zeppoli I used to get when I lived in New York, just a flatter version. My apologies to the Navajo Nation and my Navajo friends if I get the information too sketchy or not totally correct regarding Fry Bread. The Navajo dinetah (homeland) is bordered by the four sacred mountains, from northeastern Arizona, western New Mexico and north into Utah and Colorado. In 1863, Kit Carson was sent to meet with the Navajo to arrange surrender to the United States Army, but that was not to be. So, their lands were burned and those that were captured were forced to march (what became to be known as "Long Walks") to Fort Sumner. A 300 mile walk where many of the Navajo died from exhaustion and starvation. At the Fort, as many as 9000 Natives were forced to live in deplorable conditions; the government supplies of lard, flour, salt, sugar, baking powder or yeast, and powdered milk were often rancid. Fry bread came from these few foods provided during the 4 years of captivity. 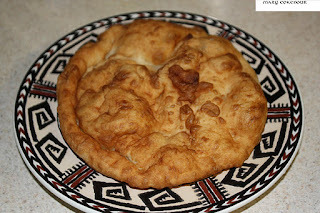 The above photo is of Fry Bread made by a friend here in Monticello, Anita Hathale. Anita is Navajo and a marvelous weaver which she learned from her mother; she also makes a wonderful Fry Bread. 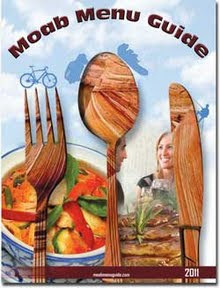 As you can see though, it is not totally flat, like a tortilla or pita would be and it can be eaten many ways. Fresh and hot just out of the fryer; coated with cinnamon and sugar, drizzled with honey; or as a Navajo Taco - seasoned meat, salsa, guacamole, grated cheese and sour cream. The Twin Rocks Cafe in Bluff also uses it to make pizza, and I know I'm trying that next time I get down there. Now living in Southeastern Utah, it is part of the area known as "The Four Corners", and there is a monument area commemorating this. 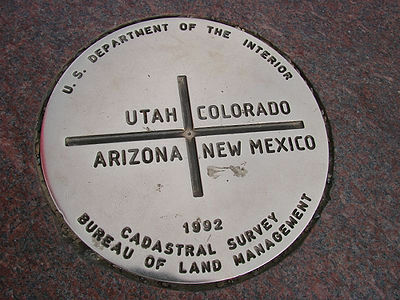 The monument is located 6 miles from Teec Nos Pos, AZ on the Colorado Plateau. While visiting the monument, one of the vendors there was making Fry Bread, and I was able to obtain a copy of his recipe. I am going to reprint the recipe as he had it written. 1 - Mix dry ingredients together very well. 2 - Add water to dry ingredients and kneed well until dough is soft. 3 - Let it sit for 10-15 minutes (or longer). 4 - Break off golf ball size pieces of dough and pat or roll out to 1/4 inch thick. 5 - Heat 2 cups of oil and carefully place dough into the hot oil. 6 - Fry it to a golden brown and carefully turn and fry the other side. 7 - Drain on a paper towel. Sprinkle with powder sugar, cinnamon or other toppings to your liking.